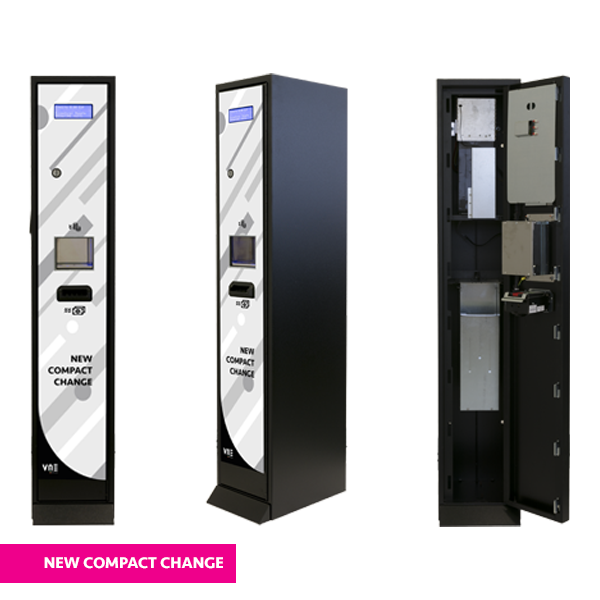 Maxi Change is a large reinforced, secure and reliable coin or token change machine. 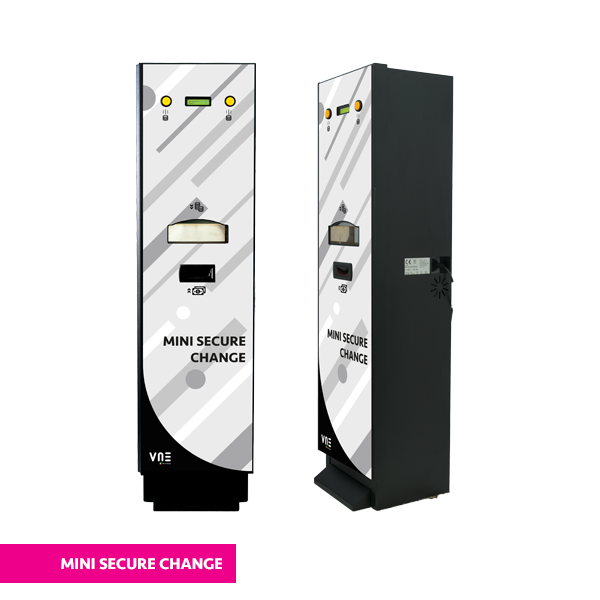 Accepts coins and notes and can dispense both coins and tokens. 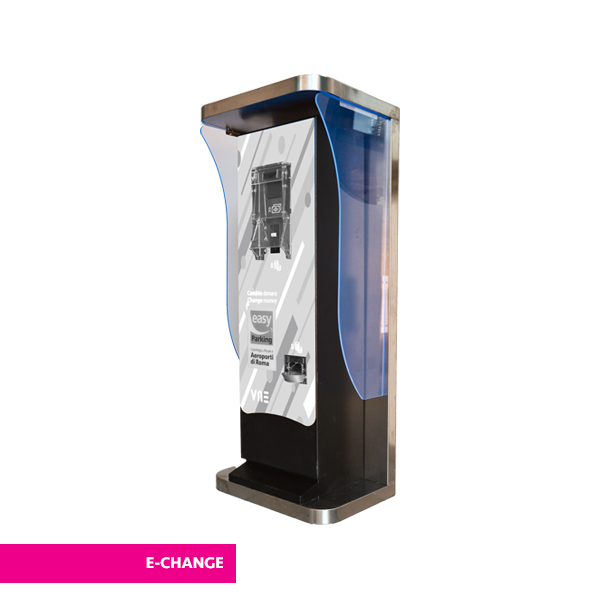 Maxi Change can also handle token purchases whilst giving change in coins. This piece of equipment has an incredible capacity and can hold up to 18000 coin or token pieces in its three belt driven hoppers as well as being able to easily handle three different sizes or denominations. 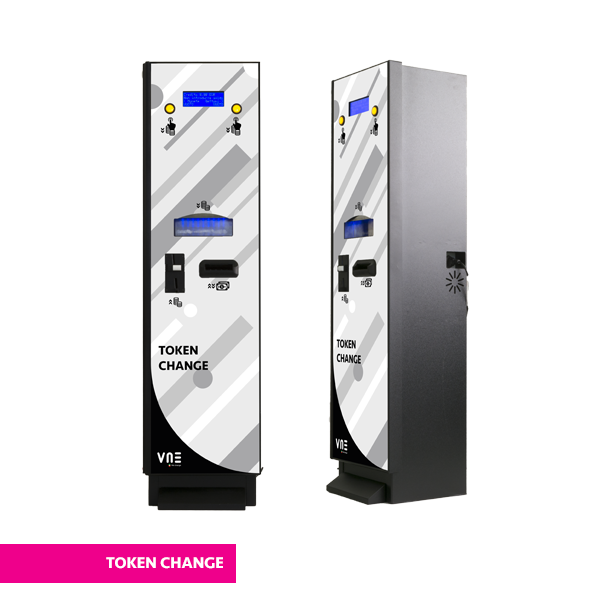 Bonus can also be handled when dispensing tokens, easily settable on the machine itself. 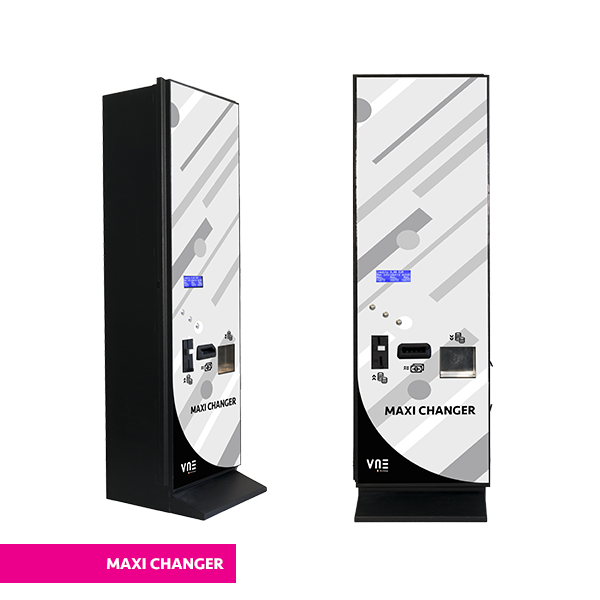 Maxi Change is also equipped with a television screen on the main door which can display informative or promotional images and videos. Maxi Change has a classic column design and offers the option of customising the plexiglass front screen with various colours and logos.